New Delhi [India], Jan 17 : The Securities and Exchange Board of India (SEBI) board, which has been looking at ways to attract more investors, has allowed mutual funds to invest in real estate investment trusts (REITs) and infrastructure investment trusts (InvITs) that have been classified as hybrid instruments. Under the same guidelines, the mutual fund can invest up to five percent of its net asset value in units of a single issuer of REITs and InvITs, while the cap will not be applicable in the case of index fund or sector or industry-specific scheme. Keeping the overall limit at 10 percent, the Net Asset Value (NAV) in units of REITs and InvITs is aimed at reducing the overall transaction cost and protecting the interest of public shareholders. New Delhi: Anticipating huge volatility during the special stock market trading on Budget day on Saturday regulator Sebi and stock exchanges have enhanced vigil to keep manipulators at bay and ensure smooth operations. The surveillance systems have been put on high alert, fearing attempts by manipulators to take advantage of high anticipations associated with the Budget, top officials said, adding that markets are expected to witness a huge turnover, including by foreign entities. Various market entities have also been asked to ring-fence their systems and infrastructure from any sudden volatility. 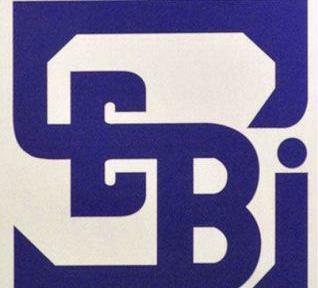 New Delhi: Market regulator Sebi has advised exchanges to keep a 'constant and strict vigil' on companies as it has found many firms to be misusing the stock exchange platform for tax evasion, Parliament was informed Tuesday. Besides, 83 entities have come under the scanner of Securities and Exchange Board of India (Sebi) during current fiscal for raising funds from public through illicit schemes. Sebi, which has conducted preliminary inquiries, has prima-facie observed that companies acting in concert with each other have misused the stock exchange system to generate fictitious long-term capital gains tax, which is tax exempt. These companies have indulged in these activities to evade tax. New Delhi - A large number of listed firms, including top blue-chips, are facing heat of the stock market authorities for sudden surge in their share prices and trading volumes as also for 'speculative' information leaks leaving investors at large in the lurch. In just about one and a half months since the beginning of this year, the stock exchanges have sought 'clarifications' from at least 19 Sensex blue chips including giants like Mahindra and Mahindra, Hindustan Unilever, SBI, Coal India, Wipro, Hero Motocorp, ICICI Bank, Cipla and L&T. Beyond Sensex companies also, at least 100 such notices have been issued so far in 2015. 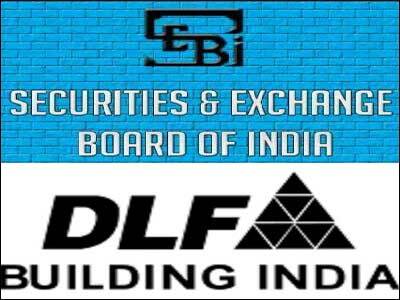 Mumbai - With Securities Appellate Tribunal set to hear DLF and its senior executives' plea against Sebi ruling on Wednesday, the focus is likely to be on the accounting practices that were followed by the realty major. The tribunal, last month, clubbed the petition from DLF's promoters with the company's main plea against Sebi ruling. In October, the market watchdog had banned DLF, its chairman K P Singh and five other senior officials from the securities market for three years with regard to alleged non-disclosure of three of its hundreds of subsidiaries in the 2007 IPO filing. 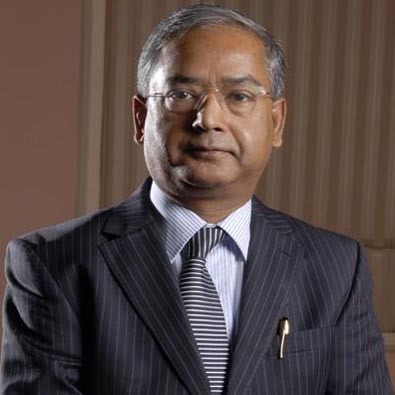 New Delhi - Sebi is working on guidelines to deal with wilful defaulters but there is no restriction at present on such entities from raising funds from the capital market, according to the regulator's chief U K Sinha. "We are working on the guidelines for wilful defaulters. It will take some time," Sebi Chairman Sinha said here Wednesday. He also said that at present, there is no restriction on wilful defaulters from raising funds. Earlier this month, United Bank of India had declared Kingfisher Airlines, its promoter Vijay Mallya and three other directors as wilful defaulter citing alleged diversion of funds. New Delhi - Giving more teeth to Sebi to clamp down on illicit money-pooling schemes and other frauds, the government has notified a new law empowering the capital market regulator to pass orders for attachment of properties, arrest of defaulters and to access call data records. New Delhi : Facing a Sebi order with charges of running an illicit money pooling scheme worth about Rs 50,000 crore, PACL Ltd on Friday said that it will approach the Securities Appellate Tribunal against the directive of the capital markets regulator. "Sebi has unfortunately failed to recognize the submissions of the company that it can't be treated like a CIS. The company would now appeal this order before the Securities Appellate Tribunal," PACL said in a statement after the Sebi order. 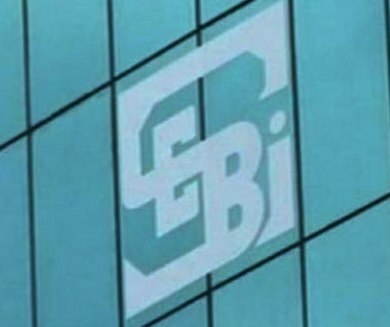 Mumbai : The board of Multi-Commodity Exchange of India has decided to ask market regulator SEBI to relax the 2 percent lock-in cap on its promoter FTIL to enable the latter to sell entire 5 percent MCX stake via a block deal and comply with various regulatory orders. The largest commodity bourse has decided to move SEBI seeking a waiver of the 2 percent stake sale cap clamped on FTIL. According to the exchange, this cap prevents FTIL from exiting MCX completely. "If this cap is removed, FTIL can sell its remaining 5 percent stake in the exchange even via a block deal," a board member said. Mumbai - The Securities Appellate Tribunal will on Friday hear Financial Planning Supervisory Foundation's plea against in-principle approval given by Sebi to IMFI for a self-regulatory organisation (SRO) for mutual fund distributors. The tribunal had last heard the matter on June 30. FPSF, promoted by Financial Planning Standards Board India, was one of the applicants for setting up this SRO, but it was Institute of Mutual Fund Intermediaries which got the go-ahead earlier in February. New Delhi - Markets regulator Sebi's efforts to recover dues from various defaulters and fraudsters through attachment and other proceedings seem to have begun yielding results, as payments have begun to trickle in. However, nearly 2,000 demat accounts of individuals and companies still stand frozen for violations of various securities laws and default in penalty payments under orders by the capital markets regulator, shows data available with two depositories CDSL and NSDL. Mumbai, July 16 : The Securities and Exchange Board of India (SEBI) has barred founder of Satyam Computer Services B Ramalinga Raju along with four others from the market for 14 years, and has also slapped a fine of approximately Rs. 1,850 crore in connection with the massive corporate fraud case. The market regulator has levied a penalty of Rs. 1850 along with an interest at 12 per cent per annum, which would be calculated from January 7, 2009. New Delhi: Armed with powers given through an ordinance to take on investment frauds, Sebi chairman U K Sinha today said he hopes it would soon become a permanent law to ensure continued clampdown against illegal investment schemes. Sinha said that a large number of illegal deposit-taking schemes were still defrauding the investors, although the capital markets regulator has used the powers granted through the ordinance very effectively to bring to book many entities engaged in such activities.